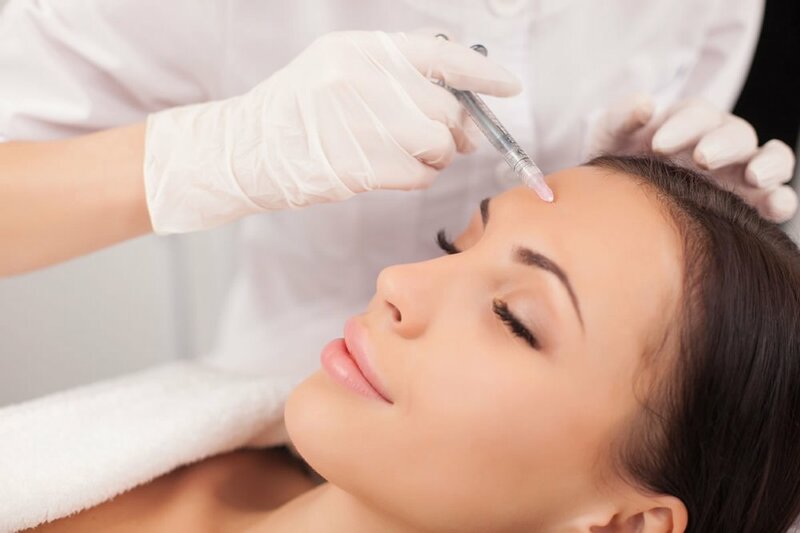 These injectable treatments of botulinum (Botox®, Xeomin®, Dysport®) are used to relax specific facial muscles that cause unwanted expression lines in the upper face (like forehead lines, crow’s feet and frown lines). Once the muscles are relaxed you cannot contract them to make the undesirable facial expressions. These products work reliably, and if used over time, will minimise the appearance and smooth existing lines, as well as prevent the formation of new lines. It takes training, a solid knowledge of anatomy and sound judgement to perform toxin injections well. At Koru Clinic, we believe in subtle treatments that enhance your natural features whilst minimising less desirable ones. At Koru Clinic, all injectable treatments are performed by an experienced and qualified Cosmetic Doctor. This consists of a half hour appointment with our Cosmetic Doctor. This appointment involves a cosmetic assessment and formulation of a treatment plan to address your skin problems, and will provide you with a written quote. Cost; $98 for Doctors appointment (50% redeemable on first treatment, excluding injectables). Anti-wrinkle injectables use botulinum toxin (Botox® , Xeomin®, Dysport® ) to soften or paralyse the muscles that cause wrinkles. All injectable botulinum toxin treatments are performed by an experienced Cosmetic Physician. Price by area treated, amount used, and type of toxin used. A quote will be provided at your initial consultation. Botox® is a Prescription Medicine containing 100 units of botulinum toxin type A for injection. It is used for the treatment of frown lines, forehead lines and crow’s feet. It should be administered only by trained medical professionals. Talk to your specialist about the benefits/risks of the procedure in appearance medicine. Cautions: People with defective neuro-muscular transmission disorders, infection at the site of injection, glaucoma, pregnancy and lactation. Possible side effects include headaches, injection site pain/burning/stinging/bruising/swelling/redness, local muscle weakness including drooping eyelids/eyebrows, eyelid swelling, skin tightness, tingling sensations, aching/itching forehead, nausea and flu-like symptoms. If you have any side effects or concerns speak to your doctor. You will need to pay for this medicine. Normal Doctors visit fees apply. Note: Botox treatment lasts about three months and after this time further courses of treatment may be necessary. Speak to your specialist about your own situation. Dysport® is a prescription medicine containing Clostridium botulinum Type A toxin complex for injection. It is used for the treatment of frown lines and excessive sweating. It should be administered only by trained medical professionals. Cautions: people with defective neuro-muscular transmission disorders, infection at site of injection, pregnancy and lactation. Possible side effects include headaches, pain, burning or redness at injection site, local muscle weakness including drooping eye lids, lack of feeling or nausea or compensatory sweating in other skin areas. Talk to your specialist about the benefits/risks of this procedure. A charge applies. Dysport® treatment lasts about three months and after this time further courses of treatment may be necessary. Speak to your specialist about your own situation. Xeomin ® is a Prescription Medicine containing 50, 100 LD50 Units of clostridium botulinum Type A toxin complex for injection. It is used for the treatment of frown lines on the forehead in adults. It should be administered only by trained medical professionals. Talk to your specialist about the benefits/risks of this procedure in appearance medicine. Xeomin treatment lasts about four months and further courses of treatment may be necessary. Cautions: Generalised disorders of muscle activity; Infection or inflammation at the proposed injection sites, pregnancy and lactation. Possible side effects: headache, pain, swelling or infection at injection site, local muscle weakness including drooping eye lids, lack of feeling & nausea. You will need to pay for this medicine. Discuss with your specialist if Xeomin is right for you.